Perhaps even before a player takes the ice, USA Hockey is dedicated to developing boys and girls, able-bodied or disabled, to be their very best. Aided by the American Development Model and windows of trainability, it’s a job everyone takes very seriously. 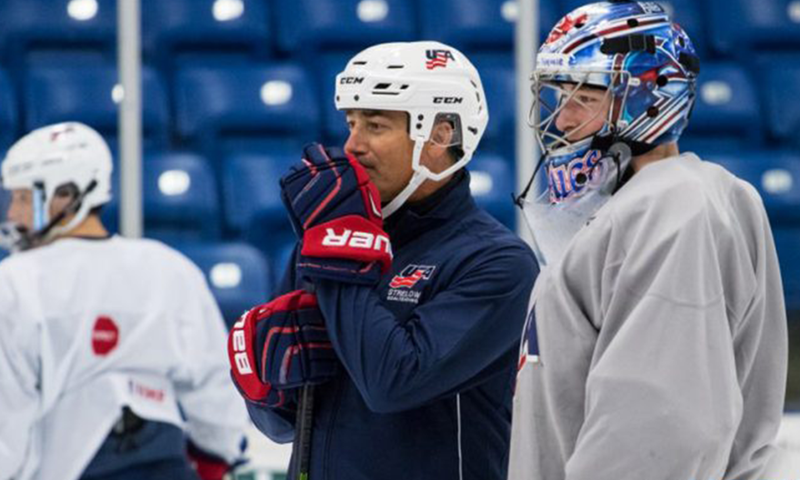 Keeping in mind the windows where players tend to develop game aspects the most, John Vanbiesbrouck, USA Hockey assistant executive director of hockey operations, notes that the development taking place for junior hockey players is as important as learning those first strides at 6U. Prior to his current role with USA Hockey, the 2007 U.S. Hockey Hall of Fame goaltender served as the general manager and director of operations for the Muskegon Lumberjacks while also volunteering within USA Hockey as its junior hockey chair and vice president. He recently sat down to explain the benefits of junior hockey, as well as how far it’s come—and how far it can take a player. USA Hockey: You’ve been involved and passionate about junior hockey for years—what is it about the junior hockey league in the U.S. that benefits players so much? John Vanbiesbrouck: First of all, the development is excellent. And that goes for players at every different level of play. 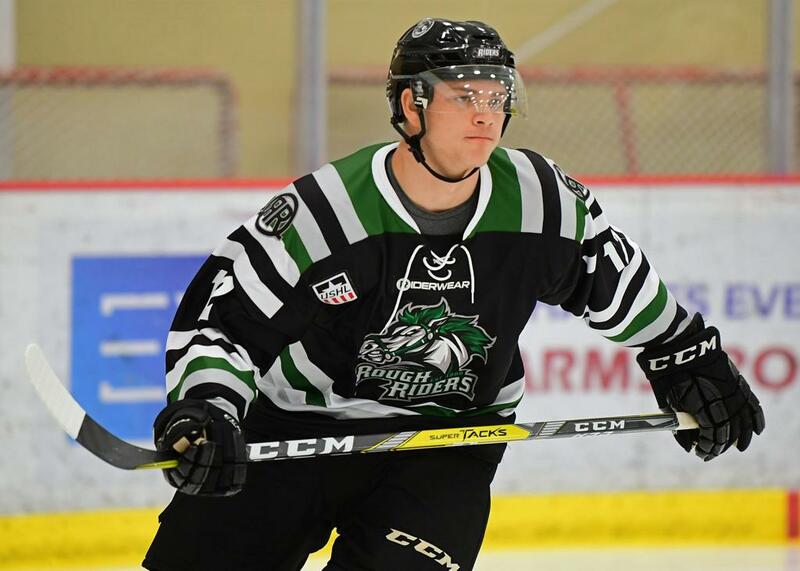 We have many ranges that include Tier III (NA3HL), we have Tier II (North American Hockey League) and we have Tier I (United States Hockey League), so we offer a lot of variety to allow for a lot of different players to stick with the game. We’re a college-bound country, so junior hockey really has been huge in assisting players getting to not just that Division I level, but there’s opportunity for them to go to college at Division II, Division III and with the American College Hockey Association. The idea is, if you play juniors, you’ll have a chance to go play college somewhere. USA Hockey: How important is a stepping stone, like junior hockey, to take before heading to play college hockey? Vanbiesbrouck: It is really is, especially after you graduate high school. That’s when you really start to become an adult. It really tells you what you’re going to be dedicated toward. Junior hockey assists you in your planning and managing life, not just within hockey, but beyond it, it really does. You learn to manage sport and school, which prepares you for playing college hockey as well as preparing for life beyond hockey. I think that assistance has really been a great proving ground for all players. USA Hockey: How amazing has it been to witness the growth of junior hockey on all levels? Vanbiesbrouck: I think, first of all, our Tier I league, USHL, has been a fantastic league, and it’s still growing. I think the amount of players that advance, not just to division one or college hockey, but professionally, has grown as well. People are taking a look at it from the NHL side and saying this a real legit league. It’s just been a wonderful sight to see all the players who are getting the opportunity to come through the USHL. Some of the guys are becoming prolific NHL scorers like a Brock Boeser (Vancouver Canucks), a Johnny Gaudreau (Calgary Flames), both of whose stops between the USHL and NHL saw them have successful national championship-winning college careers. At the same time, the Tier II and III leagues have solidified themselves and we’re happy with what’s going on there. If the USHL is more focused as a development path towards professional hockey, the NAHL is really focused on helping players reach the collegiate level, whether that’s division one, division three or the American College Hockey Association. It’s really supplied a great place because NAHL is so vast. They run great events and If you’re a player transitioning, it’s a good stepping stone. All in all, more players are getting opportunities. Whether it’s offense, defense or goaltending, we’ll take them at all levels, but I do believe the development is there and our development path in our country with junior hockey is really growing. We get great assistance from our youth and the work that’s done at the grassroots level and I think it will only continue to grow from here as our game grows, too.